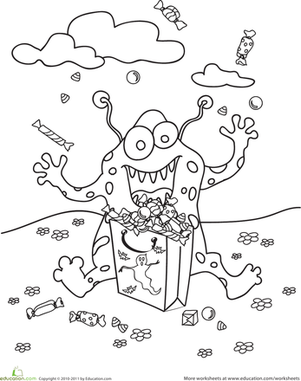 This cuckoo coloring sheet features a monsterâbut don't be scared! It's the Flower Monster. He just sniffs his favorite flowers while lounging in a field. 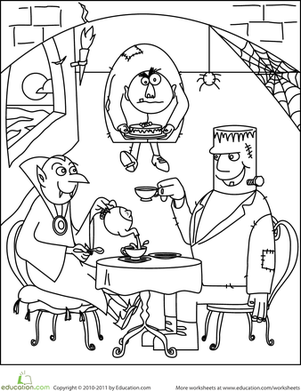 This silly coloring page features three Halloween monsters enjoying a tea party.